Jan. 1 is the day that many people make resolutions and goals for the new year. And this year thousands of would-be marathoners have put the Air Force’s annual marathon on their list of things they’d like to accomplish. Marathon organizers have often offered an earlybird discount for runners eager to register and this year was no different. Those marathon and half marathon runners who registered by Jan. 1 saved $10 off their registration fee and those looking to run the 10K and 5K saved $5. 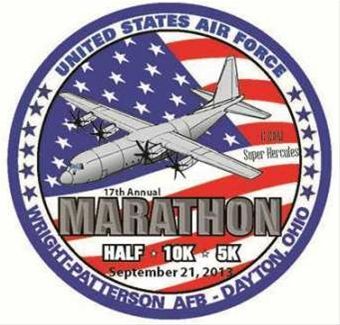 The Air Force Marathon filled a third of its 15,000 runner slots with more than 5,100 people signing up on the first day of registration, breaking last year’s registration opening record of 4,178, according to a press release. The next scheduled price increase is April 2 and Race Director Rob Aguiar says that the race could sell out before then. In fact, the running event did just that last year selling out in March — two months ahead of when it was expected to sell out. Additional race slots were added last year, but Aguiar said that won’t be the case this year. The 2013 running event will be capped at 15,000 runners. If you’re interested in this race Aguiar says you shouldn’t delay in getting registered. For more information about marathon prices and registration, visit www.usafmarathon.com. *If there are any 5K slots left after August 2, the price will increase to $40.